According to researchers at the University of Iowa, about 15% to 20% of the U.S. population report chronic constipation. (Clin. Castro Hep. 2007 Mar5(3):331-338) and about 4 million Americans report continual constipation. Research indicates that this problem gets worse as you age. Opinions differ about what constitutes constipation. Conventional doctors believe one bowel movement daily or every other day may be sufficient. 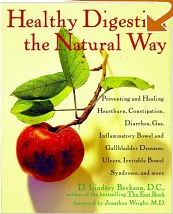 Natural practitioners believe that 2 to 3 bowel movements daily are necessary to keep the bowel functioning optimally. A diet missing vital nutrients, such as magnesium, vitamin C and Bs and choline. Calcium Supplements: Calcium supplements are frequented indicated in bone loss / osteoporosis and often, the recommended dose often is 1,200 mg a day. However, supplementing with over 800 mg a day or using a carbonate-based supplement appears to have a drying, muscle-contracting effect on the intestines resulting in constipation. For this reason, if these symptoms occur, it's best to switch to calcium citrate. It's easier on the gut and better absorbed by the body. Alternatively, pair calcium with magnesium. In addition to boosting calcium absorption by ~70%, magnesium has muscle-relaxing properties that cancel out calcium's intestine-contracting effect. (You can purchase it as one convenient supplement: NOW Calcium & Magnesium at local drug stores. Or ask for a recommendation at your local health food store). Walking. Try to walk at least 45 minutes a day, six days a week. A rebounder is a wonderful exercise tool plus it helps "loosens things up." Reduce your consumption of refined foods. Instead, eat plenty of fresh fruits, vegetables and fiber-rich whole grain. Bananas are high in fiber that can help restore normal bowel action without having to resort to laxatives. When you are dehydrated, everything "dries up" causing / aggravating constipation. I once read drinking between 24 to 28 ounces of water early morning, before eating or drinking any else is a wonderful way to hydrate after a long night and according to Chinese medicine helps with elimination and detoxification. I have been following this routine for many months now and this one habit I intent to keep. Don't forget: if you eat fiber, but don't drink enough water - this will CAUSE constipation. Maintain a daily routine. Go to the bathroom the same day every day. Herbs can act as bowel toners, stimulating laxatives, bulking agents and lubricants. Bowel toning herbs, such as the formulation known as Triphala as well as Cape Aloe, speed bowel transit time. They help waste matter pass through your system more efficiency by improving muscle function. Stimulant laxatives, such as rhubarb, encourage the large intestine to empty more frequently. Lubricating herbs, such as Slippery Elm and Marshmallow, encourage bowel movements by coating the bowel's contents with a film that cuts back on friction and facilitates the movement of waste products. The advantage is that the stool remains soft and excreting them is more comfortable. Recent investigations into the herbal formula Trihala have shown that it possesses clear health benefits beyond those that it is usually used for (constipation) -- specifically lab studies indicate that it generally helps protect against the stress of a noisy environment (Mol Cell Biochem 2006 Feb,283(1-2):67-74), it may boost our resistance to illness (Bio Pharm Bull 2005 Aug.28(8);1398-403) and it can promote the healing of infection (Jrnl Surg Res 11/26/07). Most herbal cleansers on the market today contain either stimulant laxatives or bulk fiber fillers, if not both. I recommend that stimulant laxatives, herbal or not, be used sparingly since the body easily can become dependent on them. Bulk fiber, while generally helpful for relieving minor constipation, tends to only push waste through the middle of the colon without actually cleaning it. When taken with inadequate amounts of fiber, bulk fiber also can cause constipation.